Venture Capital is where Money is provided by investors to startup firms and small businesses with perceived long-term growth potential. This is a very important source of funding for startups that do not have access to capital markets. It typically entails high risk for the investor, but it has the potential for above-average returns. Our Team is one of the most internationally experienced Venture Capital groups in Ireland, with operating and commercial expertise beyond investing. Atlantic Bridge Capital is a Global Growth Equity Technology Fund with over $450 million of assets under management across four Funds, investing in technology companies in Europe, the US and China. Better Capital comprises a small number of experienced and proven turnaround investment professionals. It is actively seeking investment opportunities in businesses which require restructuring, both operationally and financially. The British Private Equity &amp; Venture Capital Association (BVCA) is the industry body and public policy advocate for the private equity and venture capital industry in the UK. Business Venture Partners was founded in 2004 and the team of Elliott Griffin, Conor Toolan, Mark Richardson and Tom Hanly works on behalf of its clients buying and selling companies, raising finances, working with start-ups and advising on strategic growth. Clarendon Fund Managers Limited is a venture capital fund manager based in Belfast, which is authorised and regulated by the Financial Conduct Authority. Clarendon manage £25m of regional VC Funds in Northern ireland including £13m of fully invested Funds. Since 1995 Crescent Capital has been supporting and building high-grade venture backed companies in Northern Ireland. We back the creative teams, the determined, the passionate and the indefatigable, the independent thinkers. Venture capital is not a passive investment activity. While management builds great companies, venture capitalists can help. The team has the combined experience of 60 plus Delta Partners early stage investments. We know what it takes to make companies great. DFJ Esprit is a leading cross stage venture capital firm that invests in European technology companies. Members of the DFJ Esprit team have been active in technology investing for three decades. We have experience of investing in over 200 companies. In the 1990s, Dublin BIC pioneered and led early-stage tech investment in Ireland with the Business Innovation Fund. It has continued funding early-stage companies ever since. Dublin BIC is deeply immersed in the Irish tech start-up ecosystem and therefore uniquely positioned to identify high potential companies for early-stage investment. Provided by Invest Northern Ireland, E-Synergy Ltd manage the £14 million Northern Ireland Spin Out (NISPO) initiatives, which support start-up and early stage businesses. Enterprise Equity (or EEVC) has an excellent reputation for providing capital to early stage and expanding business throughout Ireland. With the advantage of having a strong regional presence in Cork, Galway and Dundalk. The EVCA is the voice of European private equity. Our membership covers the full range of private equity activity, from early-stage venture capital to the largest private equity firms, investors such as pension funds, insurance companies etc. 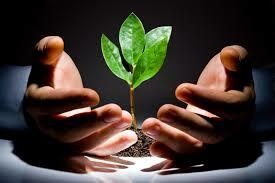 At EVP, we will help you deal with the many challenges of high potential start-ups. Don’t let a dearth of finance or lack of investor confidence due to the global technology downturn deter your plan to get your technology start-up off the ground. Fountain Healthcare Partners is a life science focused venture capital fund headquartered in Dublin, Ireland with a second office in New York, US. Frontline Ventures is a Dublin&nbsp;and London based fund focused on the needs of the new wave of software entrepreneurs. We invest in the best teams, who build capital efficient businesses in high growth markets. Greencoat Capital is a leading investment firm in the cleantech sector. It is the adviser to ESB’s cleantech fund, ESB Novusmodus. It invests in expansion stage companies in the clean energy and energy efficiency sectors. Investec Venture Fund backs management teams that need capital to expand their businesses into new markets, develop and launch new products, effect MBOs &amp; MBIs, implement ‘buy and build’ strategies, and spin outs. The IVCA represents venture capital in the Republic of Ireland and Northern Ireland. Its full members are venture capital firms which provide equity funding to growing unquoted companies. The Bank of Ireland Kernel Capital Venture Funds, investing in the Republic of Ireland and Northern Ireland, are one of the largest and most active sources of equity finance for technology companies on the island of Ireland. At MML Growth Capital Partners Ireland we create bespoke deals in response to unique opportunities, recognising that while the challenges facing businesses are sometimes similar, the specific details are never the same. Polaris Partners invests in and helps build successful Technology, Healthcare and Consumer companies. The firm has $3.5 billion under management and makes investments across all company lifecycle stages. Seroba is a European life sciences venture capital firm headquartered in Dublin, Ireland. Seroba is focused on investing in breakthrough healthcare technologies that promise to improve lives. The WDC Investment Fund (WDIF) plays a unique role in funding businesses, community initiatives and ‘flagship’ projects in the Western Region. It invests directly in sustainable projects, many of which may be experiencing a funding gap.